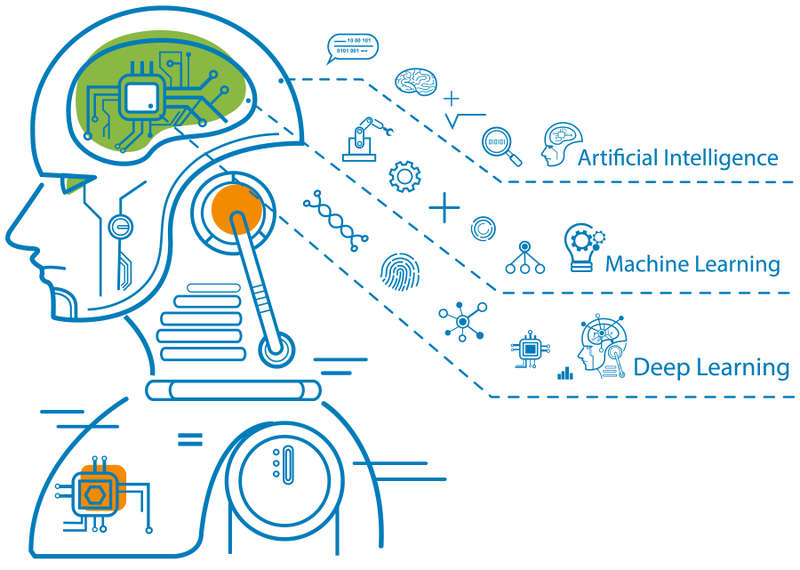 Incorporating AI into your business’ operations will soon become not just a way to stay ahead of your competitors, but a way to remain relevant amongst them. Artificial Intelligence (AI) has been one of the top industry buzzwords in recent years. Many organizations – in business and academia – see it as a disruptive force that will change the way the world operates. While some businesses may be hesitant to take the leap into AI, and others may not know where to start with it, it is highly likely that every company will have to adapt to this modern way of operations in the future. This whitepaper aims to help business leaders get started with AI and think about their own AI strategies. Download the Full Whitepaper today! Some forms of AI are already prevalent in consumers’ daily life and businesses’ daily operations. Think: Facebook suggests friends we should tag in photos; banks automated the identification of potential fraudulent transactions. The former uses facial recognition that is enabled by “Deep Learning;” the latter leverages algorithms developed using “Machine Learning.” Such prevalence has changed consumers’ demand for convenience, speed, and personalization of products and services. Businesses are now realizing the dramatic cost reduction and potential revenue increases they can expect from AI. Finding a Business Case: Establishing at least one business case is important before investing in AI, as it provides a reason for stakeholders to be onboard. Some questions business leaders could ask themselves in exploring business cases may start with the event that triggered the organization to start thinking about AI. Importantly, always remember that while AI may appear to be “magical,” it is typically better to start with lower-hanging fruits rather than moonshots. 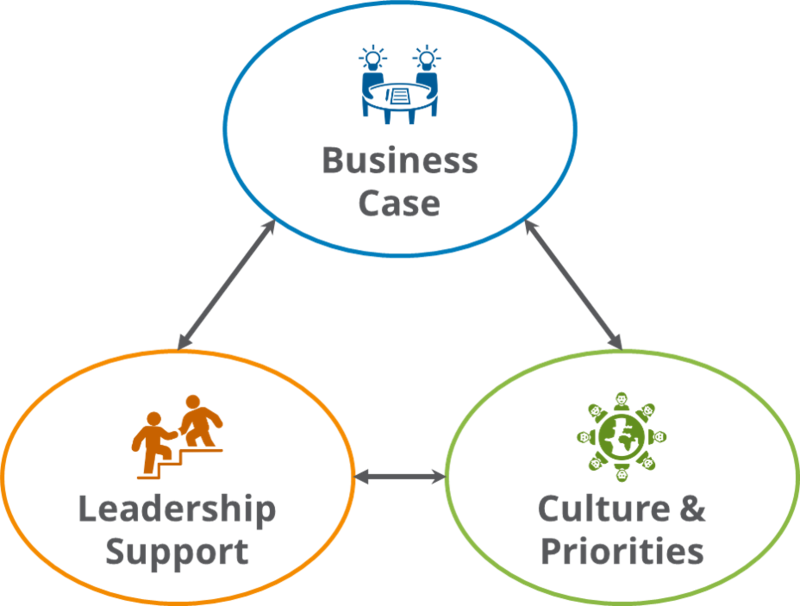 Ensuring Leadership Support: Leadership support is needed in every company-wide strategy to ensure sufficient resources are provided. The company leadership needs to demonstrate vision, trust, and resilience for an AI strategy. Moreover, a leader or a team of leader needs to be designated to oversee the company’s AI strategy and initiatives. Aligning Culture & Priorities: A motivated workforce with aligned priorities is critical to the success of an AI strategy. Not just data scientists, but other IT and business experts need to be willing to contribute their time and roll up their sleeves. While leadership support is important to initiate this element, the culture needs to allow such alignment to sustain. We believe that by bringing vision, trust, and resilience to an AI strategy, leaders can motivate their teams to overcome challenges and realize the seemingly endless potential of AI. Crafting a strategy to leverage AI and transform a business involves time and critical thinking. As part of the strategy, at least one business case needs to be established; supportive company leadership and designated AI leadership need to be in place; and aligned priorities need to exist throughout the organization. Finding the Talent: While the first talent needed for AI that comes to mind may be data scientists, the implementation and success of an AI solution depends on many different fields of expertise, in both technology and business. Options to outsource data scientists, data engineers, and project managers exist – especially initially – but the business subject matter experts are only available in-house. Choosing the Tools: The technical tools needed to create an AI solution are often perceived as complex and expensive. However, there are in fact pre-built AI algorithms that make leveraging AI much easier than one may imagine. 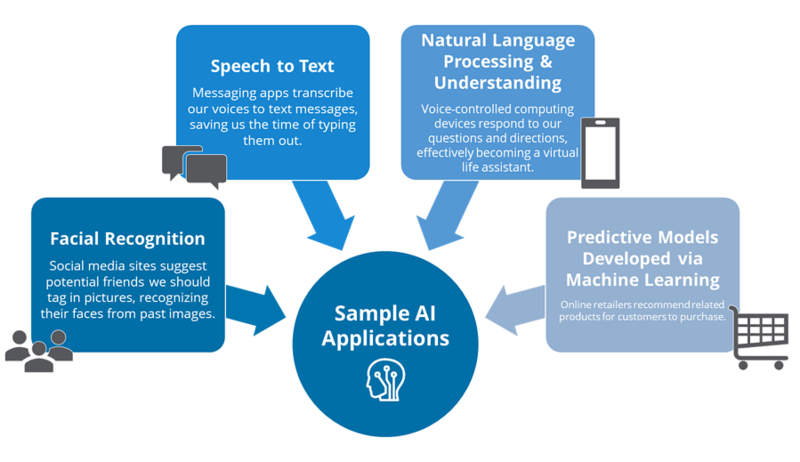 Microsoft Cognitive Services, for example, offer quite a few tools that allow companies to leverage Microsoft AI models on their own data. Ensuring the Data & Infrastructure: Many people understand that AI requires a large amount of data. Such data needs to be not only of abundance, but also granular enough. Additionally, as most recently by the CEO of IBM Ms. Rometty at Davos, “you can’t have AI without IA,” setting up a modern, integrated data platform is essential to the success of AI model development. 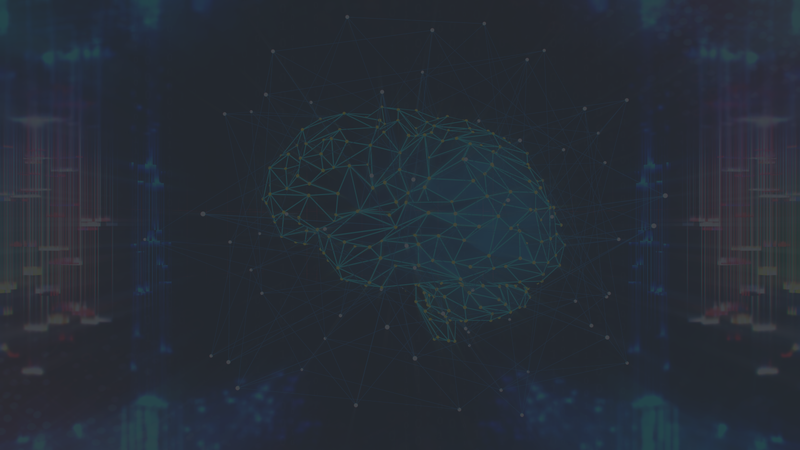 Privacy Concerns & Regulations: Lastly, the whitepaper briefly touches upon the need to be attentive to the privacy concerns and regulations of the data and algorithms related in any AI projects. It is a topic that has depth, breadth, and a developing nature. And because the use of data and AI models can have profound impact on human, consumer concerns and regulations must not be taken lightly. It is important to involve someone with experience and expertise in this arena. Due to the developments above and more, consumers now demand not only speed and convenience from products and services, but also more immersive and personalized experiences. Such personalization, if not for AI, would require dramatically more human resources. Other than direct consumer-facing products, AI’s power to streamline behind-the-scene operations and processes – such as customer service chatbots and mundane task automation – has also made great strides in recent years. Artificial Intelligence offers transformative prospects for businesses to gain competitive advantage. While it may be the opportunity of a lifetime, crafting an AI strategy requires an organization to reflect, contemplate, and plan meticulously. The technical tools and know-how are important – but the foundation of the strategy lies in the establishment of a business case, the readiness of the leadership, and the eagerness of an organization to realize such strategy. We hope you have found the preview of this whitepaper useful. 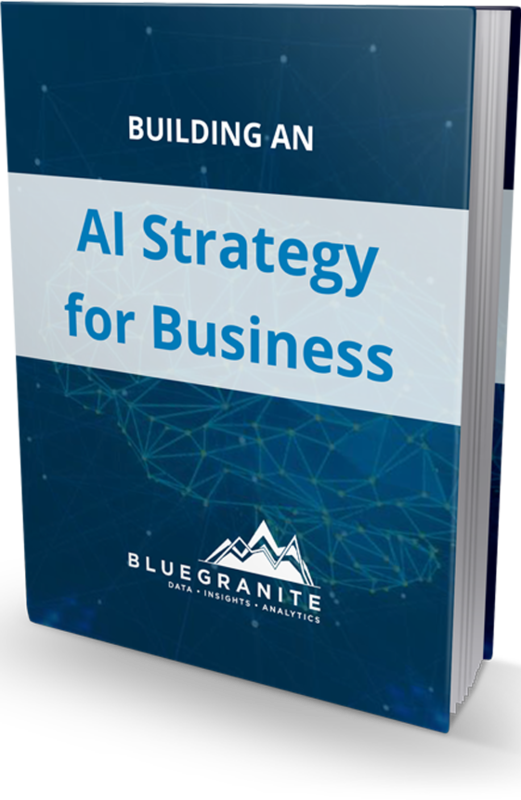 If you’re looking to start your business’ AI strategy, download the full PDF version today! Get your free Whitepaper here. Download your copy of the full whitepaper here!